We assist clients charged with criminal possession of a weapon, including a handgun, or a knife, possession with intent to use unlawfully, aggravated discharge of firearms, criminal sale of firearms, and any other crime related to firearms or other deadly weapons. Texas may give high regard to the right of an individual to own a gun, but that regard is not without limits. Some individuals are prohibited from owning guns due to previous criminal activities. Certain types of gun ownership, such as military-style weapons and silencers are illegal for anyone to possess. There are multitudes of other violations that can get you in trouble. You need an attorney that understands guns, the rights afforded you by the Constitution; and federal, as well as state gun laws. You will need the help of a knowledgeable qualified attorney for these types of charges. If you are a felon, have prior weapons charges or if the firearm it self is an illegal weapon, (i.e. “sawed off shotgun”, modified trigger assemblies or explosive ammunition) the D.A. will treat this very seriously. Possession of a firearm can change a regular felony charges into “strike” violations. The “three strikes law” has a significant impact on your probable sentence and may make the difference between getting some type of community service or going to state prison. The possession of a weapon during the commission of any other crime could add up to 10 years as an enhancement in addition to any sentence you would receive on the underlying crime in which a weapon was used. 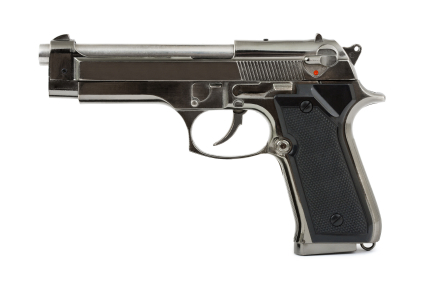 A weapons possession or enhancement charge, particularly a firearm, is a very serious charge. With so many factors involved, it is important to have an experienced attorney who understands New York weapons law on your side. Whether the weapons charge is part of a larger prosecution, or by itself, we can help you find the best defensive strategy for you. We understand every part of a criminal law matter. We can quickly determine if our clients’ rights have been violated. If the evidence against you was obtained through an unlawful search and seizure, we may be able to solve your legal difficulties very quickly. If a full trial is necessary, we will fight for your rights every step of the way. Contact The Sheena Law Firm today if you need an experienced and successful attorney to discuss your case with.